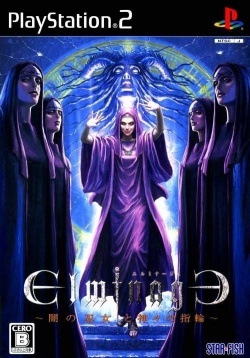 Game description: Elminage: Yami no Miko to Kamigami no Yubiwa is the first game in the Elminage RPG series. The system is a dungeon search type 3DRPG that captures the flow of the popular Wizardry series. The world "Heldra Eel" has been created for six pillars of gods, and has been protected for a long time by the boundary made by the six rings in which the power resides. However, she was defeated by the dark maiden who intended for the devil's arrival, and the rings were scattered all over the world except one. The kings of each country mobilized the army to search for the ring, but the results were not good, and in the world without stability, the demons increased their power rapidly. At the same time, a touch of ring search was issued to adventurers. This page was last edited on 16 April 2019, at 10:17.